Devolver Digital has had quite a bit of success recently with Shadow Warrior and Defence Technica, and with Vlambeer’s Luftrausers they can add yet another game to their list of good calls. 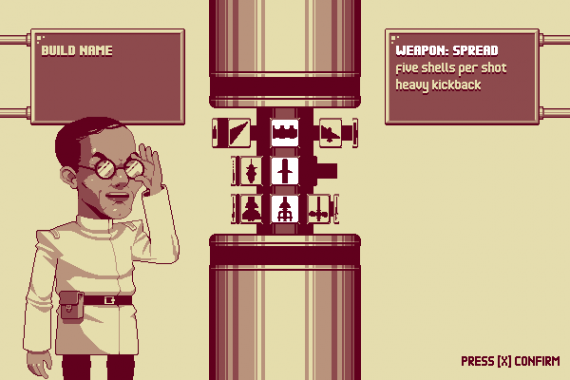 The game can trace its origin to 2011 and the product of a two day game jam- Luftrauser. Put on the backburner whilst the creators completed other projects, the game was eventually brought back to the table for further development by the Vlambeer team in 2012. Built from the ground up but taking the ideas of the original Flash game, Luftrausers is a 2D dogfighting game that sees players take to the skies in a Rauser fighter jet customised with their choice of engine, weapon, and body. There’s no chance of victory, with the focus on taking out as many enemy planes and ships as possible before exploding in a fiery ball of death (or a nuclear skull of doom, depending on your loadout). 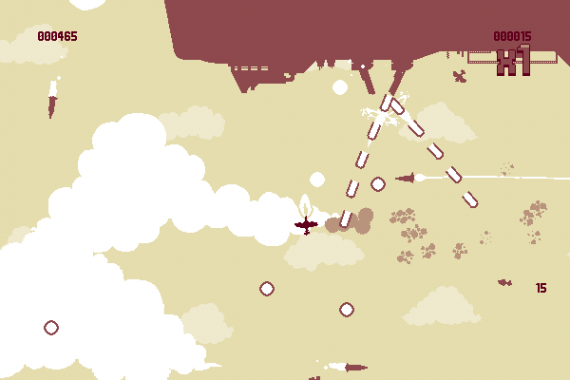 Luftrausers is a non-stop, exhilarating joy ride with one simple objective: blow sh*t up. 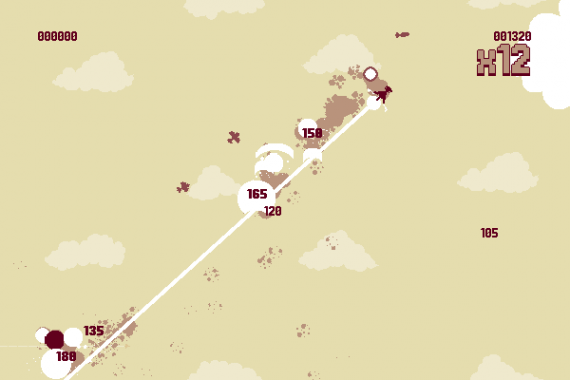 Chain kills to get a point multiplier bonus and keep going until your plane is blown to pieces. There are objectives to complete that unlock new parts and raise your level, allowing for an ever increasing variety of play styles. Weapons run from the standard machine gun, right through homing missiles, cannons, and laser beams. Engines can be super nimble, well rounded or propelled by bullets. The variety on offer is huge. Want to ram into enemy fighters without taking damage? That’s possible. Want to avoid the skies entirely and spend every run bobbing in and out of the ocean, blasting ships when you come up for air? Sure. Go ahead. No matter if you’re after speed, endurance, power or a laser beam, every set up is fun to play, and unlocking new parts to test out and combine is a joy. Each Rauser looks, feels, and handles differently, and they even have individual names so that you can get way more attached than you should to ‘The Pig’ (I moved on eventually). The gameplay is kept frantic by having the assault come from air and sea, with multiple enemy types constantly mixing up attack patterns and formations so that each new run feels like a different struggle. You may be swamped by nimble fighters in one run, bombarded by battleships in the next. Part of the fun, and indeed the satisfaction, comes from learning how to deal with anything the game throws at you. 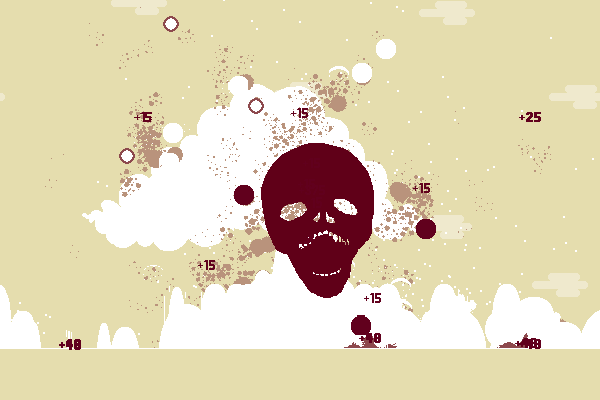 Luftrausers is relentless, constantly throwing enemy after enemy at you until the screen is more bullet than sky. The only way to repair damage to your plane is to stop firing, so you have to make the call whether to shoot and take out the bomber that’s dogging you or turn tail and run in the hope that a brief moment of respite can get your plane back to full strength. Moments of triumph are always within grasp, whether it’s a perfect parabolic bombing run that takes out multiple enemy ships or a simple aerial maneuver that slips your craft neatly between two streams of deadly battleship fire. Although the reward of new parts dries up fairly quickly, the gameplay is more than enough on it’s own to drive an addiction, and it is incredibly easy to zone in on Luftrausers to the point that little else matters but the next run. The possibility of new thrills and moments of chaos or genius is more than enough to make dying the briefest of inconveniences, and you can be up and running again within seconds – I needed a reason to stop. 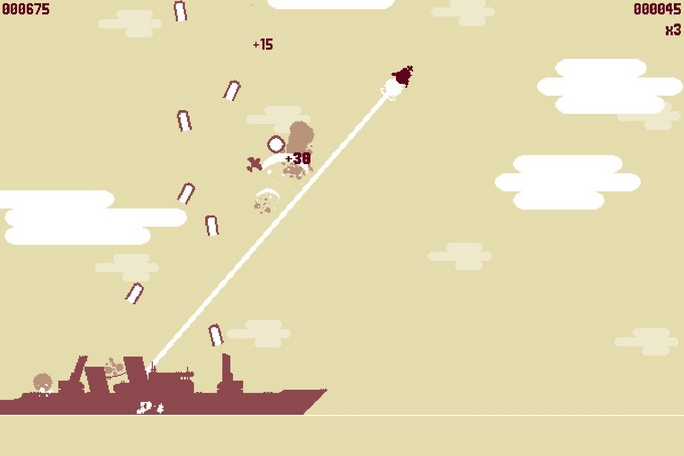 Luftrausers is the sort of game that you want to clear the room for. Remove fellow residents who are not interested, turn up the speakers and let the energy of the soundtrack blast your ears whilst enemy planes fall from the sky. It’s loud and it’s exciting, and likely to be punctuated with a perpetual chorus of swearing and whooping. The soundtrack was created by Finnish DJ Jukio ‘KOZILEK’ Kallio, and well, just have a listen to the main theme. Pairing that track with the gameplay makes for one hell of a good time. And here’s the kicker- there are 125 variations of that theme, one for each of the possible combinations of plane parts. Next to the awesome soundtrack the visual side of Luftrausers can seem a little unremarkable,old school as it is. But don’t let the 2D pixel style fool you, because every plane looks different, and the game can handle a ton of bullets and enemies on screen at once; things can get very intense and the simplicity of the artwork allows it all to go down easy. The cartoon characters on the menus are a nice touch that break things up and hint at a world beyond the chaos, some crazy team of scientists and generals that just keeps on going no matter how ridiculous it is to put one plane up against an endless horde. 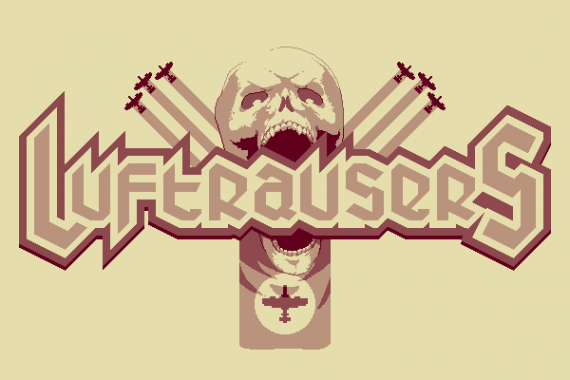 Luftrausers is a mesmerising package that is an absolute joy to play. A fantastic slice of arcade insanity, it takes some very simple concepts and knits them together perfectly, topping the whole thing off with an electro cherry on top. It demands constant attention but in return makes you feel like an aerial god. I’ve yet to play anything else this year that comes close to having the same immediate impact as Luftrausers: grab it and have a ball.